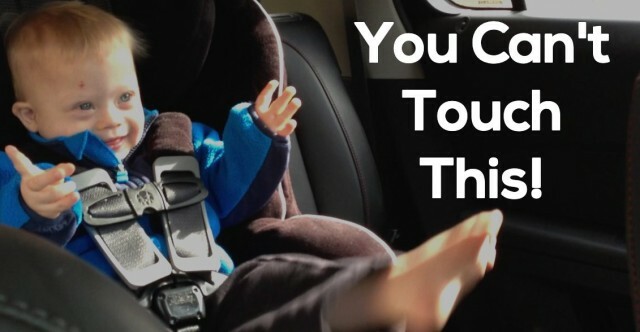 Baby Dance Party: You Can't Touch This! You are here: Home / Family / You Can’t Touch This ! Baby Noah Getting His Macarena On! Noah gets his dance on to “Mirrors” by Justin Timberlake. Noah’s Half Time Party Dance Off! I love how much joy and fun this kid likes to have! I hope enjoy all the cute dancing baby videos as much as I do! Do your children like to dance? If so what’s their favorite music to dance to? I wanted to know all that i can about down syndrome im a new mom I need some help pleae !!!!!! There’s no magic trick to raising a baby with DS. You treat them just like any other baby, they will grow, and learn, just a little slower! Take a look at Noah’s Dads other posts. He’s put a lot of great info on his experiences with Noah. Find your local Down Syndrome Assoc chapter. Enjoy your little one!! Congratulations on the birth of your child! You have been very blessed with a true angel. I am a young mother of a son w/ DS (18 months old) and would not change a thing! My son brings so much joy to our families and to us as his parents. I would recommend starting any sort of therapy your hospital/doctor/city/etc offers as soon as possible. We started Therapy at 6 weeks old and it has made a large impact on my son’s life and ours as well. I hope it all goes well with you and your new baby. Congrats again! Noah is so cute. He looks like he’s doing the disco in part of it! I think he might have a future as a dancer, or a musician. Hey Rick and Noah! I am a new grandmother of a Ds baby girl and am so enjoying your blog. Being a mother also, I am getting worried about you guys since you haven’t posted since mid-February. We are missing your upbeat, practical, and so very fun faces!! Pray all is going well with your family.